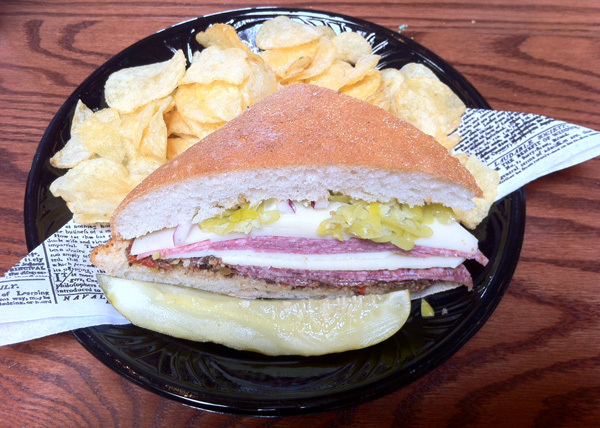 Do you research dining options as part of the Disney vacation preparation process? I have to admit to neglecting this aspect of vacation planning. With so many details to consider (what to wear, where to stay, all the baby gear to pack, etc), we usually just “swing it” when it comes to meals…which doesn’t always end well. During our most recent trip to California Adventure, our family wandered in to the Fiddler, Fifer, & Practical Cafe on our way to Soarin’ Over California. We were weary and hot after a morning of attractions. Our first impressions were positive. The delicatessen and cafe features wooden bench-style seats and open glass “bakery style” windows. We were hoping to find a few sandwiches or salads that would suit our healthy appetites and line up with our daughters’ palettes. We settled on the last option. Our three daughters (ages 6, 3, and 6 months), like many young children, were not thrilled by the sour sauce. Both my husband and I agreed that we wished that there had been more “traditional” sandwich options – perhaps a Turkey & Provolone Sandwich, a Grilled 4-Cheese Sandwich, and/or a Roast Beef and Cheddar Melt (minus the horseradish). Note that several of the sandwiches are sold as a half-sandwich, which isn’t exactly filling after a hard day of play. If you’re looking for a coffee, espresso, or smoothie, this place is a good stopping point. 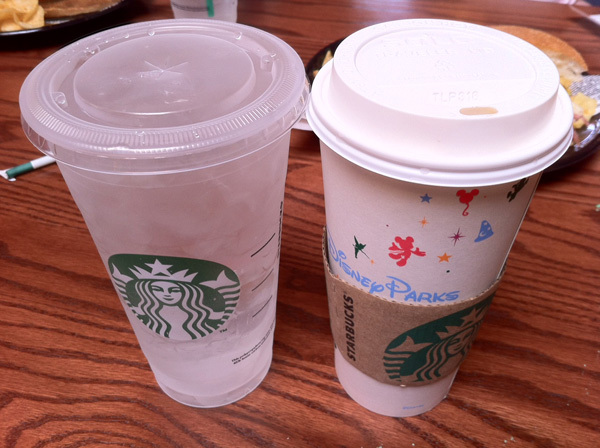 The Starbucks-branded beverages range from $2.69-$5.49, depending on your drink of choice. You can also ask for a tall glass of complimentary water. Where do you like to eat lunch in California Adventure? What restaurant inside the park offers the most filling entrees? My husband gets pasta at the adjoining restaurant. Next time you are faced with weird sauces, don’t forget that you are at Disneyland! They will usually make changes for you. My husband is very particular about what food he eats so planning meals through the day is definitely of importance when we go to Disney. He packs a great many items (one thing I LOVE about Disneyland is that they allow you to bring in food) but we do eat at least one meal in the park. One of his favorites is French Market because the portions are large and we can buy a few plates and then mix and match between the 5 of us so we all get a little something. The 25 MostCrazy bag Secrets… And The Way To Make use of them ! and other stuff, is there any other site which provides these data in quality? I think what you said was very logical. But, think about this, suppose you added a little content? Fifer & Practical Café in California Adventure is a little vanilla. El agua hace que los comestibles aumenten su volumen, pero no la cantidad de calorías. de mantequilla y volvemos a dejar descansar una hora y media. Tras esta estancia en la ciudad de París, volvió a Londres, donde fue nombrado director artístico de la prestigiosa revista Queen.